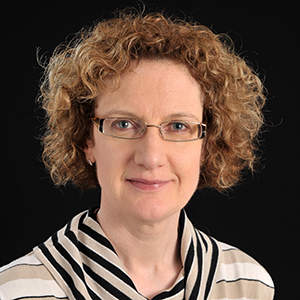 Judith Battersby, the Director of the Strategic Development Unit, joined the University in 2005 in the role of Senior Planning Officer. She graduated from the University of East Anglia with a first class Honours degree in Environmental Sciences (1985) and has a Diploma in Computing from the Open University. Judith has extensive experience in university administration in both the pre- and post-1992 sectors. Her career began in Maintenance and Purchasing Control at the University of East Anglia followed by a move to the North East and roles in Quality Assurance and Planning at Northumbria University (formerly Newcastle Polytechnic). Since 1990 she has specialised in the field of Planning and Management Information, holding senior positions at Newcastle University in Faculty Planning and Resources and the Management Information Unit. It was during her time at Newcastle that Judith honed her skills in the development of computerised systems for the provision of statistical information and the production of management information to support strategic and operational management.